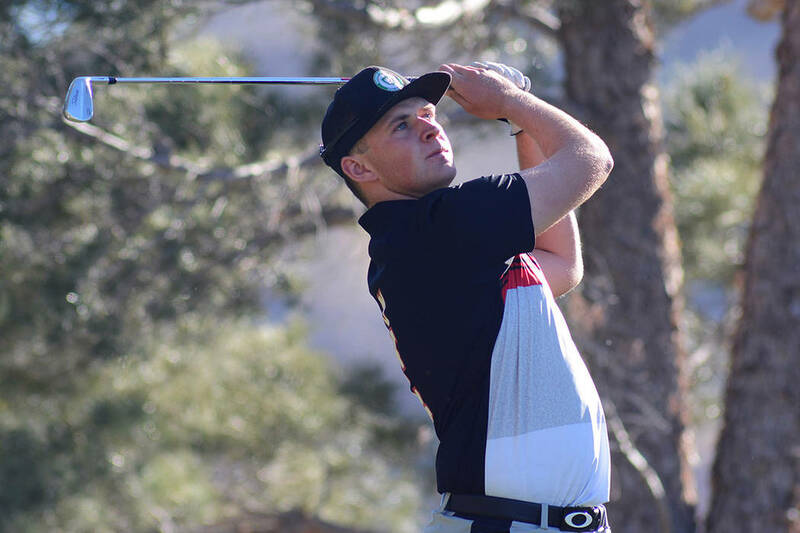 UNLV senior Harry Hall is tied for sixth place, five strokes out of the lead, after two rounds of the three-round Sun Bowl Marathon All-America Golf Classic in El Paso, Texas. A native of Hayle, England, Hall shot 3-under-par 68 in each round for a 6-under 136, tied with three others in a tournament that includes 29 golfers who have achieved All-America status or have a high amateur ranking. Hall had an eagle, two birdies and a bogey in the first round and followed with five birdies and two bogeys in the second. Matthias Schmid of Germany and Bryson Nimmer of Bluffton, South Carolina, are tied for the lead at 11-under 131. Spencer Ralson of Gainesville, Georgia, is third at 10-under 130. The final round is set for Tuesday. The event, which started in 1974, is one of the country’s premier amateur golf tournaments, with past participants including Jordan Spieth, Tiger Woods, Phil Mickelson, Davis Love III, Justin Thomas, Notah Begay and Jerry Pate.